Seizures in cats are not normal and are something to be alarmed of and as a matter of fact, seizures in cats are not very common. Cats who are pure bred are more vulnerable with seizure episodes than cats who are mixed breeds. There are several different types of seizure disorders in cats, such as grand mal seizures, petit mal seizures, etc., just like seizure disorders in human beings. Just like humans, seizure disorders that affect cats can be caused by several different factors, and quite a number of possible causes of seizure disorders in cats are fatal diseases and should be managed and treated as soon as possible. Epilepsy – Less than 3% of the total cat population are affected with epilepsy. Pharmacological treatments and therapies for epilepsy in cats are very few. Just like epilepsy in human beings, epilepsy in cats is not easy to diagnose. Cats who are actually affected with epilepsy will most likely appear normal and problems will only be seen during seizure episodes. Feline Infectious Peritonitis – This type of disorder is a type of viral infection caused by the feline cornovirus. During the early stages of the feline cornovirus infection, the cat affected will not show any signs and symptoms. Only 5 to 10 percent of infected cats with the corona virus will progress to feline infection peritonitis that attacks internal organs of the cat, such as the abdomen, kidneys, and brain. Toxoplasmosis – The parasite Toxoplasma gondii (T. gondii) is responsible for cats’ toxoplasmosis. Toxoplasmosis is very common in warm blooded animals. Even though toxoplasmosis is very common in warm blooded animals, only in cats do T. gondii reproduce. In the event the parasite has entered the cat’s central nervous system, that is the time wherein it can cause seizure episodes in cats. 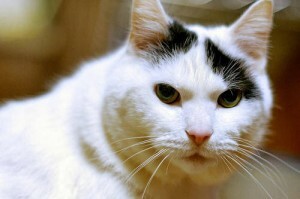 Leukemia – Leukemia can also affect cats through the feline leukemia virus. The feline leukemia virus is a type of retrovirus that provides a copy of genetic material into the normal cell of the infected cat. Studies reveal that approximately 2% to 3% of cats are affected with feline leukemia virus. Feline leukemia virus can easily be transmitted to other cats and the feline leukemia virus is considered to be the most common cause for cancers in cats.